Thanksgiving is always quiet at my house. We are not a large family to begin with and usually my Aunt and Uncle visit my cousin’s in Chicago. So it’s just my parents, grandparents, and myself. I really like cooking for five. It’s no big deal. Sure, I need to shop ahead of time but when it comes down to the day, it’s stress-free cooking. Somewhere along the lines the “torch” of cooking was passed to me. Of course I’m almost positive that it came with falling in love with cooking and that even though my mom like to cook, it’s not something she has to be in charge of for holidays. I on the other hand love it. This Thanksgiving was really low key. My parents bought a grass-feed organic roast (my family isn’t big into turkey) which we threw into the crockpot with potatoes, onions, and carrots. Everything else was vegetarian: Roasted Sweet Potato and Caramelized Onion Quiche (veggie entree), Roasted Brussels Sprouts, Butternut Squash Casserole, Mashed Potatoes, and Mashed Sweet Potatoes with butter and a little maple syrup. I love that my family is so open to having almost everything vegetarian. Plus it doesn’t make me feel as guilty for eating too much because most everything is good for you! Did you try anything new this year at Thanksgiving? Anything you’d recommend? 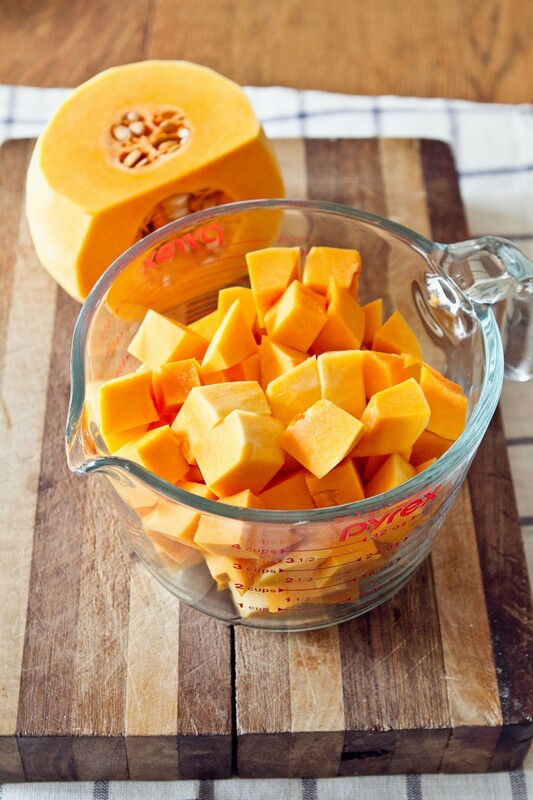 Cube butternut squash in 1/2″ cubes. Toss with olive oil, salt, and pepper. Roast for 15-20 minutes or until tender. Remove and place in a large bowl. Reduce oven to 350˚. Sprinkle remaining cheeses and breadcrumbs on top. Bake at 350˚ for 15-20 minutes or until cheese is melted. Serve hot. Love the new look! Sounds like you had a nice holiday. LOVE your site! 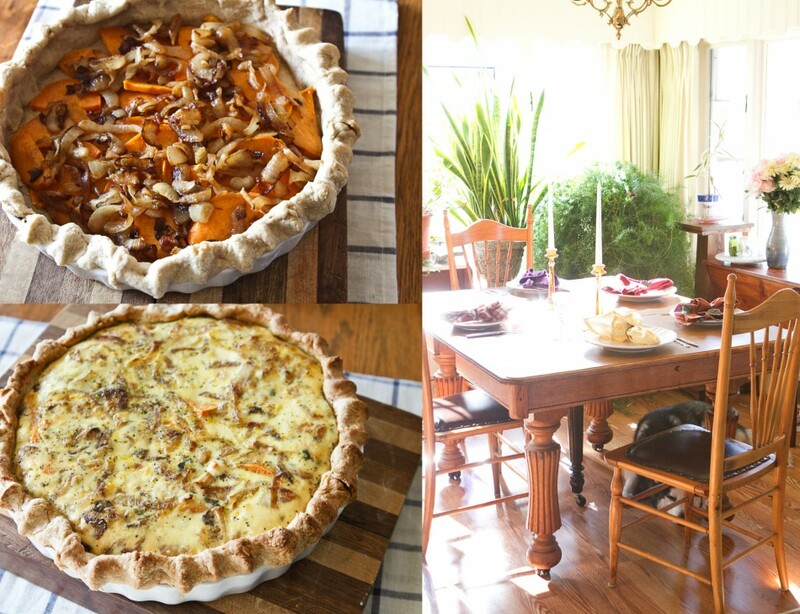 Do you have the recipe for the sweet potato caramelized onion quiche on your site somewhere? It will be up sometime next week! Yum! I’m not vegetarian, but the sides are by far my favorite part of Thanksgiving. 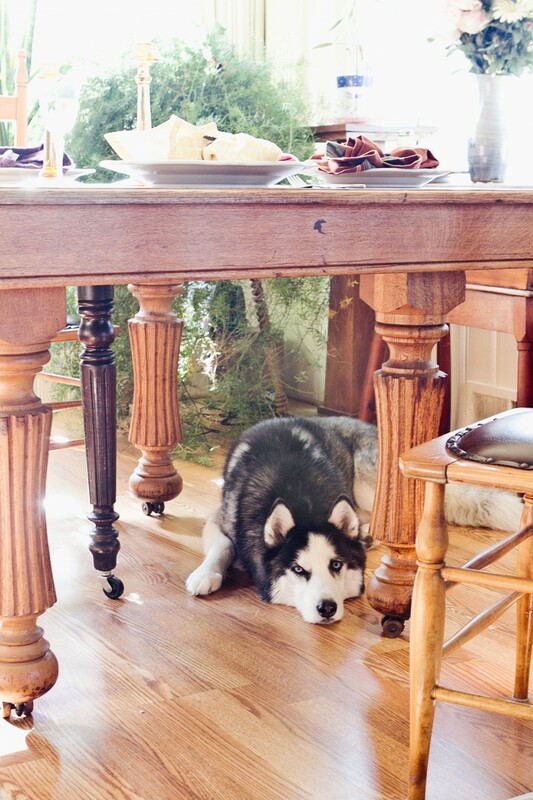 I didn’t even have any turkey this year — not really into it. 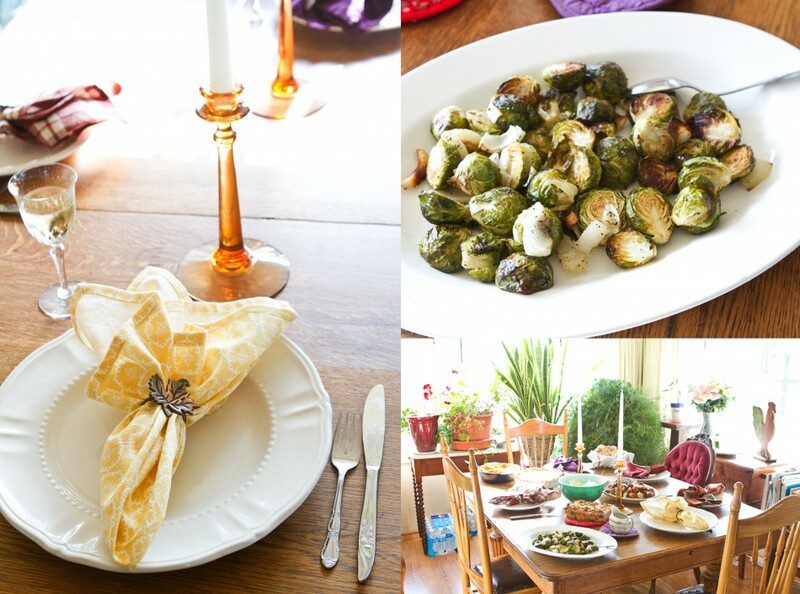 I loaded up on Brussels sprouts (one of my favorites), mashed sweet potatoes and fresh cranberry sauce. 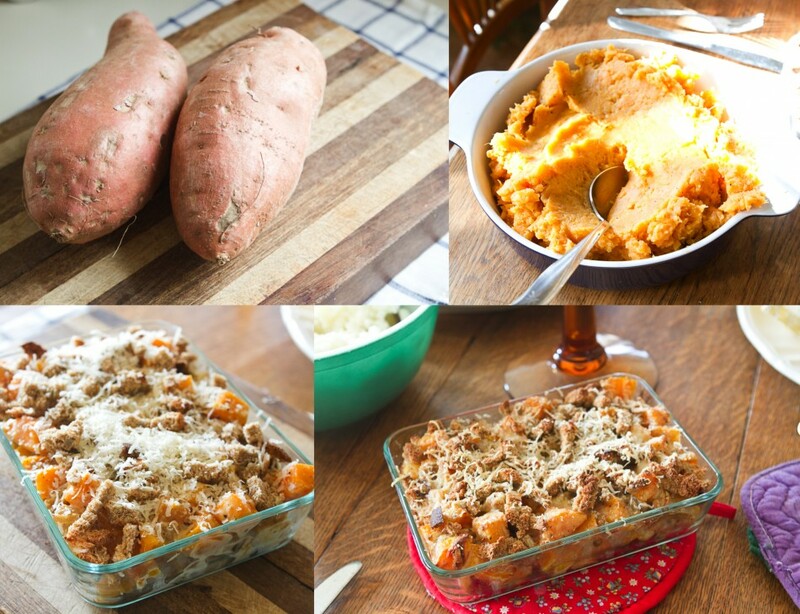 I love the idea of a butternut squash casserole. Perfect for Thanksgiving! Love that photo of your pooch. Actually, I love all your photos! beautiful photos! saw this on TS. congrats! Refreshing to see a simple Thanksgiving for a change 🙂 Sounds lovely. The quiches look wonderful! Just came across this squash recipe while looking for healthy meal ideas. Great blog!